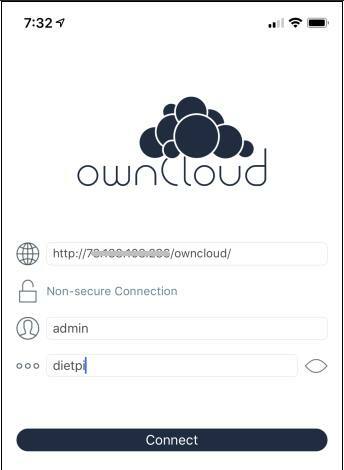 Our goal is to install the latest ownCloud version on the Raspberry pi with DietPi installed. 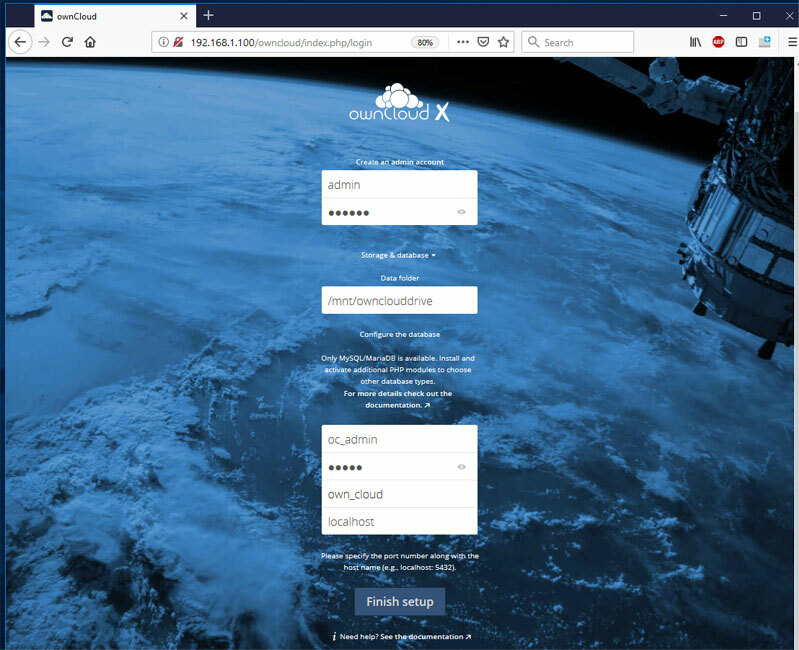 We are not just installing ownCloud but also mounting an external drive for lager capacity of data storage and to be able to access it with your mobile device from anywhere in the world with internet access. 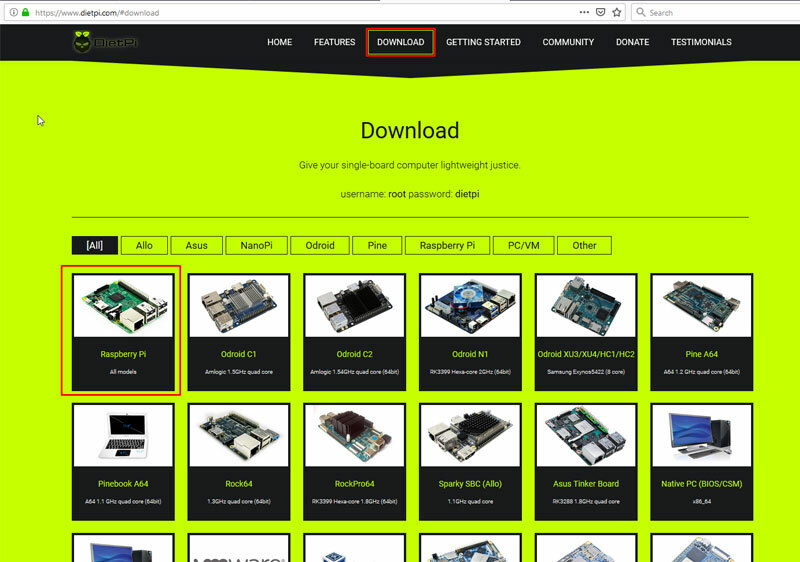 This tutorial assumes that you have a fully functional Raspberry pi-2 or 3 with a 8 GB MicroSD card Minimum!. If you don’t have a Raspberry PI I would personally recommend buying the CanaKit Raspberry Pi 3 Complete Starter Kit which is the one I’m using for this tutorial. The good thing is that with DietPi We don’t have to write a bunch of code like I’ve done on my previous ownCloud installations. 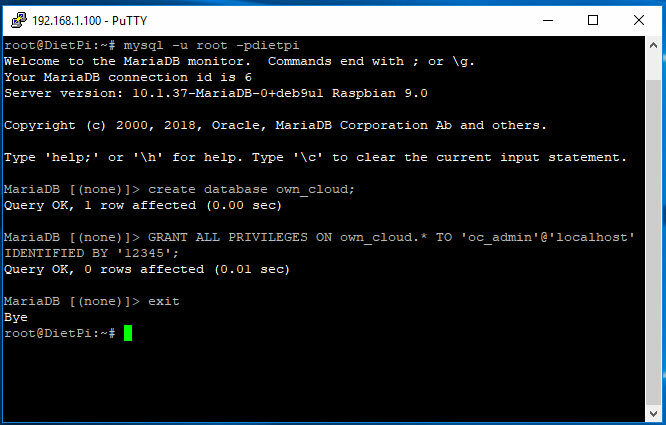 With DietPi we auto install ownCloud. 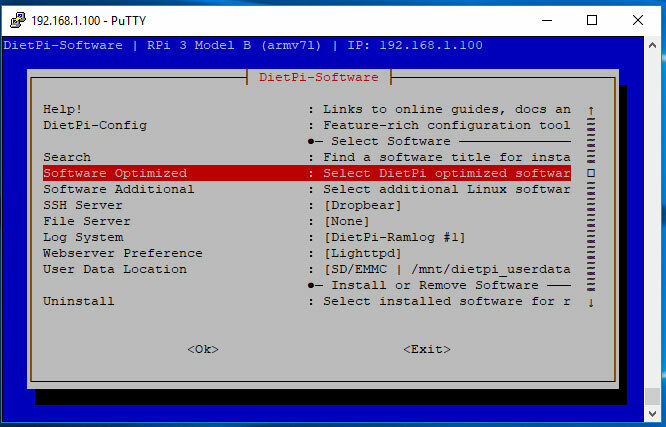 Download the DietPi Image from https://www.dietpi.com/ -> Downloads. 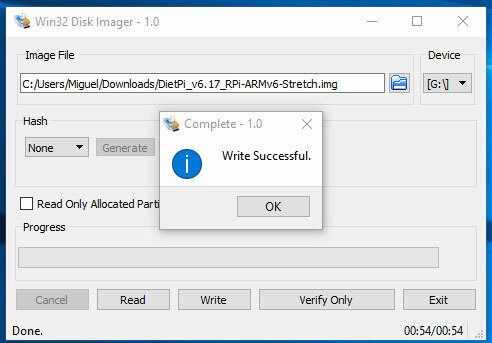 Download and install free Win32 Disk Imager. 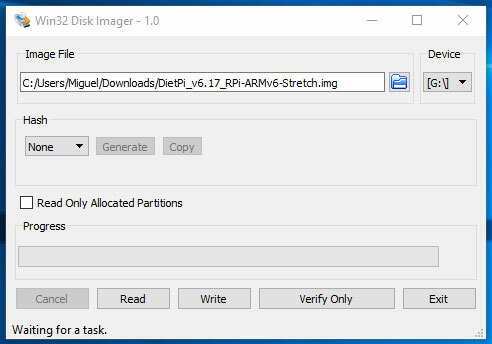 Insert the MicroSD card into the SD card reader then to the PC. Then Click on Write button to write the content of the image file onto the USB. Note: all content from the MicroSD card will be deleted and replaced with the content of the image file. 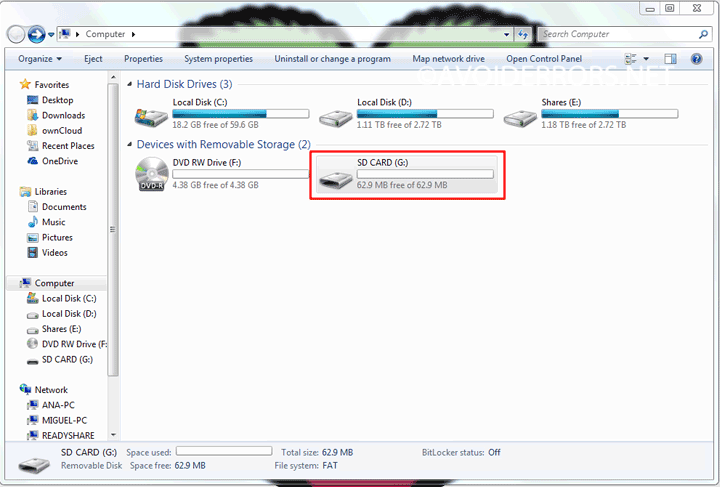 Upon completion make properly eject the MicroSD card from the PC. 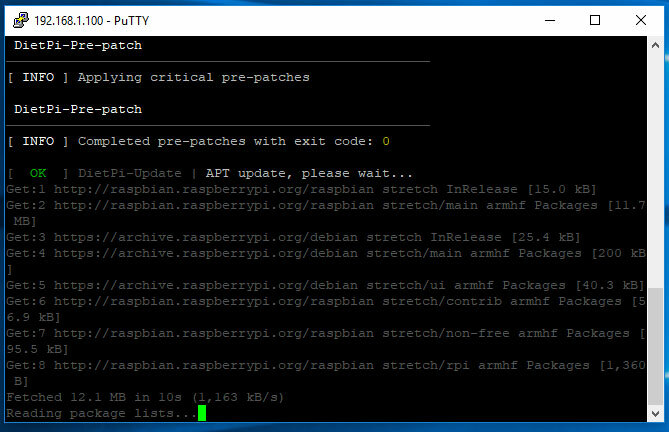 Make sure that the Raspberry PI is turned off and all peripherals are plugged in (i.e. mouse, keyboard, Monitor, Ethernet) then insert the MicroSD onto the Raspberry PI. The power cable is the last to to be plugged to the RPI. 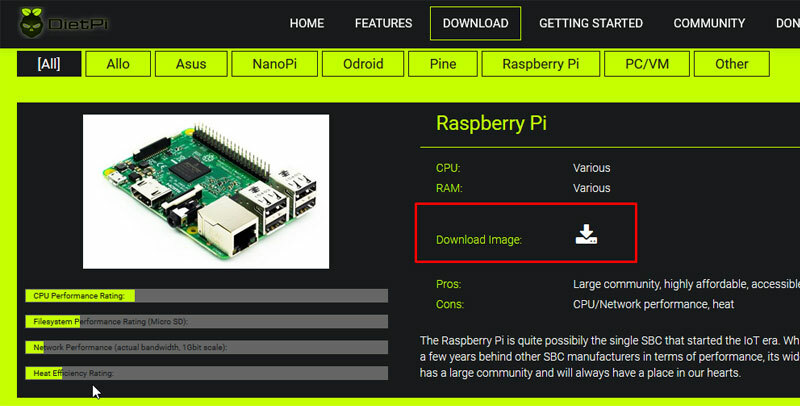 Once the RPI turns on you will immediately be able to see the IP address, please make a note of it. Once you log in it will immediately start to update. You are also going to be prompted to change default passwords. This can take quite a while. For this tutorial I did not change any passwords. I also opted out of the survey when prompted. Once done reboot. DiepPi will be installed and updated. Select Software Optimized hit enter. Now using the ↓ arrow key look for ownCloud. Select it by pressing the space bar. Again using the ↓ arrow key select Install and hit enter, to start auto installing the latest version of ownCloud. 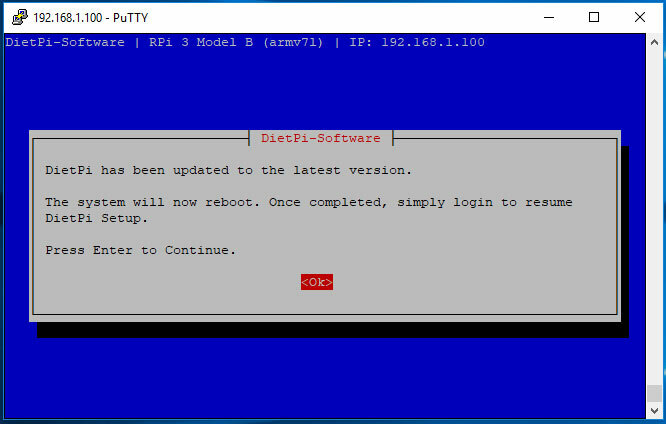 Let the Pi reboot. You are finished installing ownCloud. 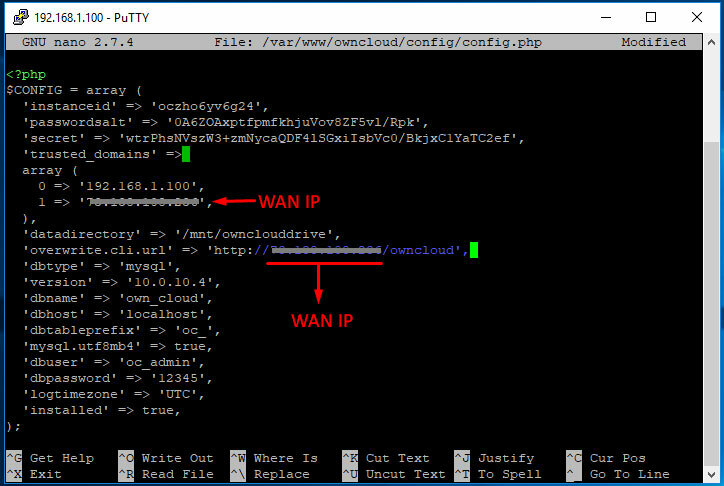 Go on another computer within the same network and open the browser, enter the IP address provided, in my case is http://192.168.1.100/owncloud you’ll be directed to your ownCloud web interface . 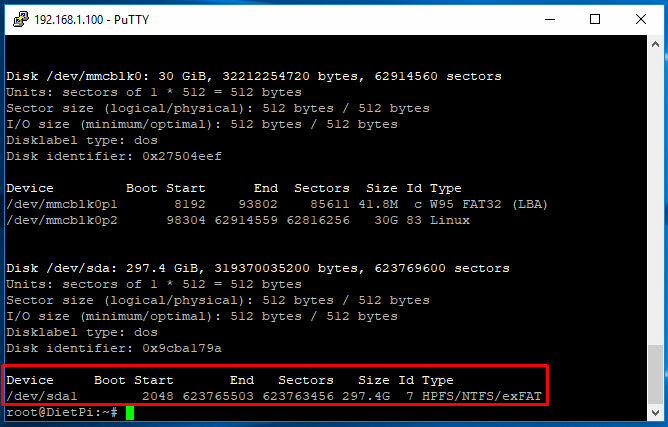 Note: If you’re mounting and external hard drive for additional storage capacity skip this step and continue to Create a MySQL database then Mounting and Setting up an external hard drive underneath. You should be presented with a simple login screen, Here enter the default username and password. 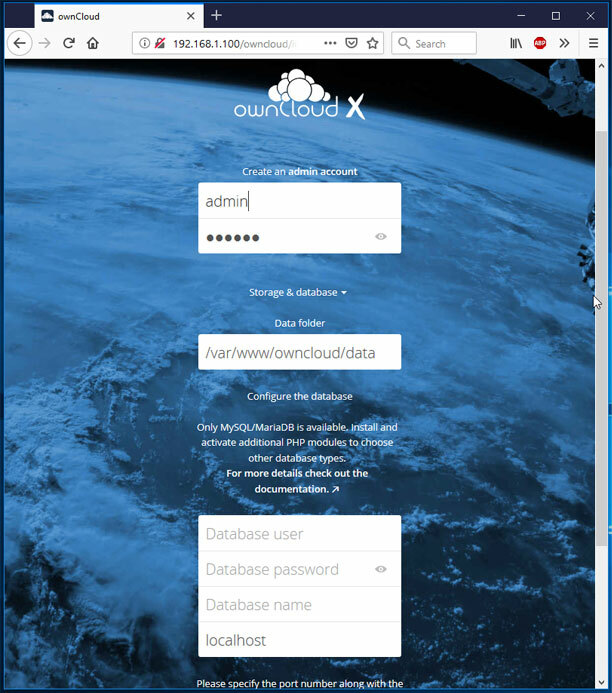 Now you’ll be prompted with the proper ownCloud setup screen. 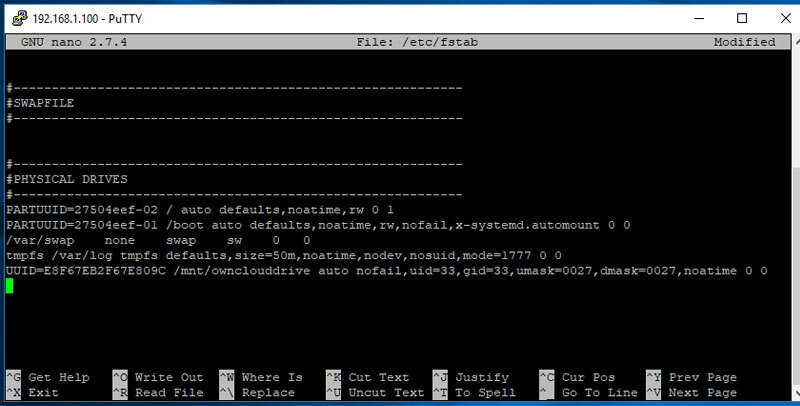 These instructions are for mounting an NTFS formatted hard drive and allowing ownCloud to store files onto it. Now would be a good time to plug in the external Hard Drive to the RPI. 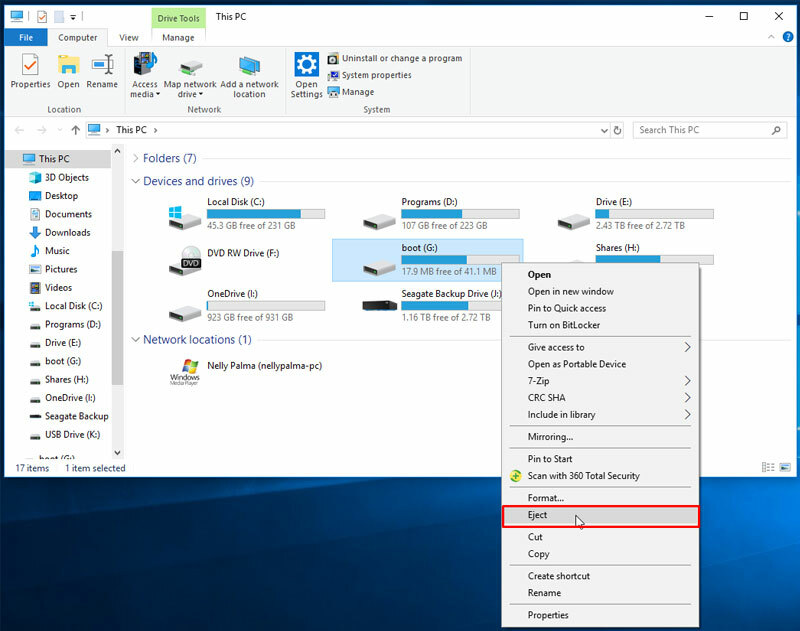 The advantage of using an NTFS formatted drive is that in case something ever happens to my Raspberry pi I can easily unplug the external hard drive, plug it onto a PC and have access to all my files. 7. Also we meed to get the UUID of the attached external hard drive so the Pi can remember this drive even if you plug it into a different USB port. Now add your drive into the fstab file so it’ll boot with the proper permissions. Add the following line to the bottom of the file, updating uid, guid and the UUID with the values we got above. (It should all be a single line). 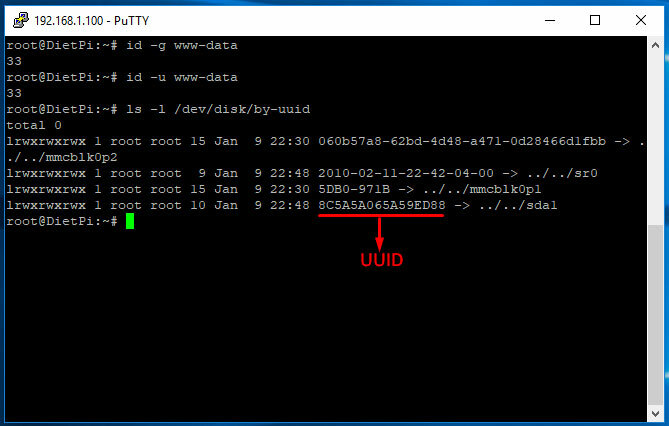 Dont forget to replace the UUID number to yours in stead of the one you copied from here. If there are files inside the drive you should be able to see them here. If it’s an empty drive you might not see anything so don’t be surprise if nothing shows up. 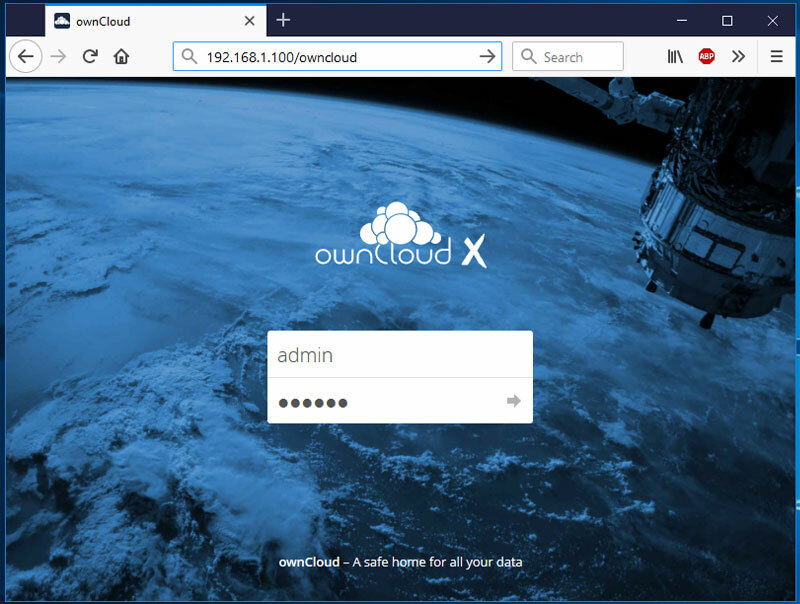 Open your browser and enter the IP address provided, in my case is 192.168.1.140/0wncloud you’ll be directed to your ownCloud storage server. You should be presented with a simple setup screen, Here enter a username and password to create an admin account. 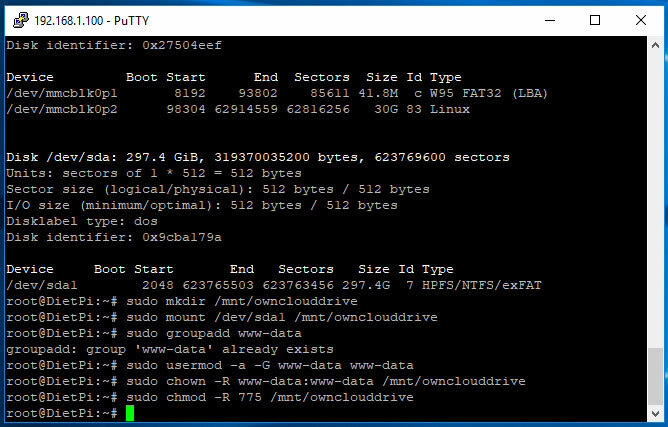 Click on Storage & database dropdown and enter your external hard drive directory: /media/ownclouddrive (Skip this if you didn’t setup an external drive). Click on ‘Finish Setup’ button. That’s it. We’re good to go. 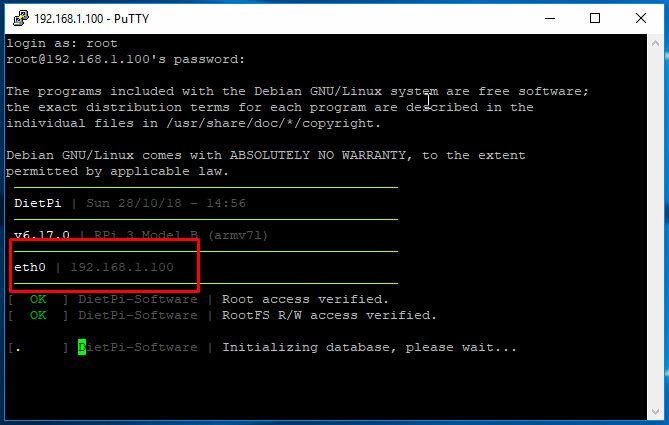 Owncloud 10 installed on Raspbian Stretch is now ready for use. Done! !! all is left is to configure your devices to access your ownCloud storage. 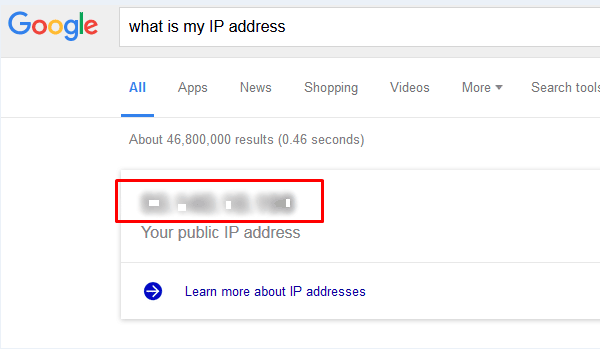 Or Google what is my IP address? X are just placeholders. Replace the X’s with the WAN IP Address. Here is an example of the completed config.php file. Once done, save and exit. 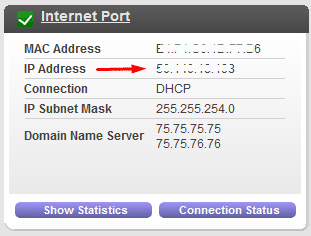 Now log into your router and navigate to the port forward section. 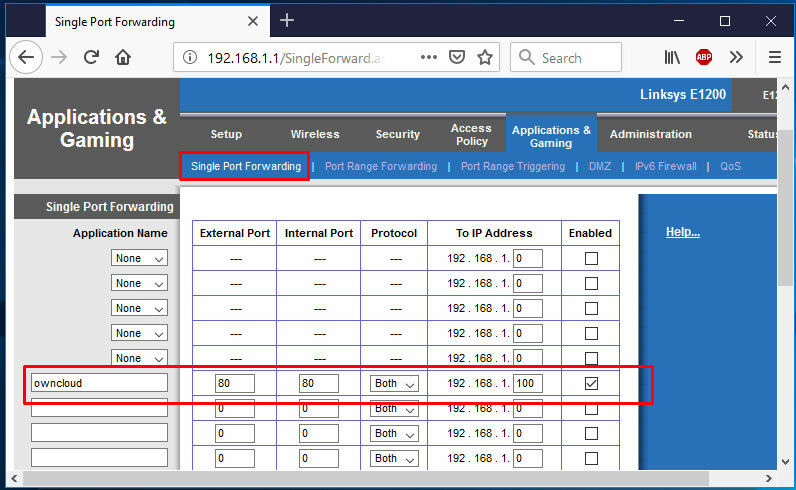 Port forward port 80 to the Raspberry pi internal IP (LAN IP) address and save settings. That’s it – you now have cloud storage that works from anywhere in the world with internet access. That was the best tutorial ever!! I have one question, if you want to add more external devices, how it´s made?